Weird War III and even stranger things! The British-based ex-X-Men face fearful far-out foes as their offbeat adventures continue! Nightcrawler meets the son of Krakoa the Living Island! Kitty Pryde reunites with Excalibur as she leads the cheer at the Girls’ School From Heck! Rachel Grey suffers the depths of D’Spayre! Meggan gets possessed! Captain Britain faces the cosmic power of Air-Walker! 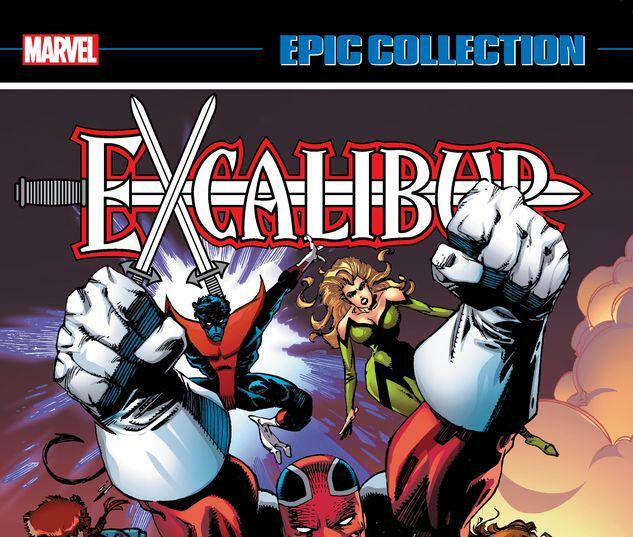 And Excalibur battles a living trash heap alongside She-Hulk! But what happens when Silver Sable’s Outlaws show up? When Doctor Doom makes a house call, who’s he looking for? And what terrible crime could lead to - the trial of Lockheed the Dragon?! 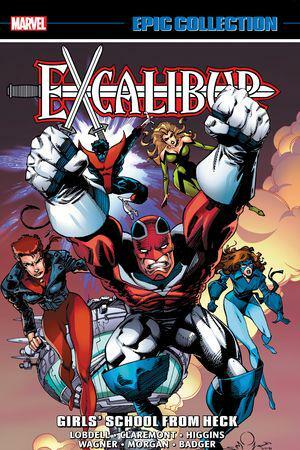 No super team does weird quite like Excalibur! 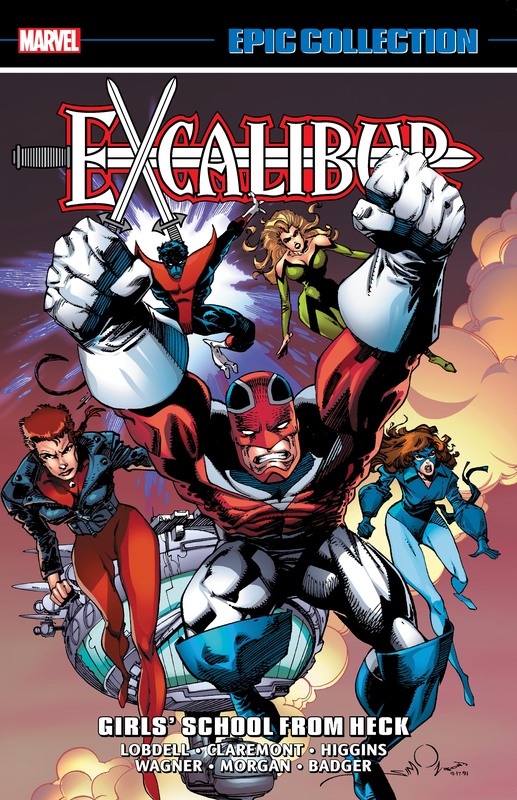 Collecting EXCALIBUR (1988) #31-41; EXCALIBUR: WEIRD WAR III, THE POSSESSION and AIR APPARENT; SENSATIONAL SHE-HULK #26 and material from MARVEL COMICS PRESENTS (1988) #75.